The thyroid is one of the most important, yet poorly managed, organs in your body. When it malfunctions, it can cause a variety of serious problems such as weight gain and energy loss. Poorly operating thyroids need to be given a boost by a rich and high-quality diet. 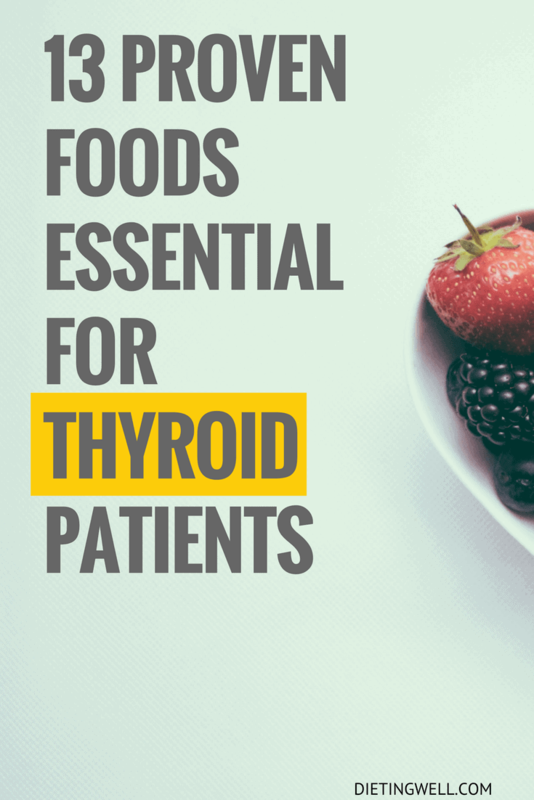 One of the most important nutrients for a thyroid diet is iodine. As a result, many of the foods suggested below will focus on this item. However, many other vitamins and minerals need to be added to your diet to increase your thyroid health. Each of these elements will be carefully examined when discussing the different types of food below. In this way, you can get a more precise and accurate understanding of a healthy thyroid diet. So please read on to get a detailed insight into the ways you can increase your thyroid health quickly and easily. If you are a big fan of salmon or other types of fish, then you need to integrate them into your thyroid diet as soon as possible. Fish, particularly wild-caught varieties, are very high in omega-3 fatty acids. These acids matter because they help balance your hormones and keep your thyroid operating at a safe and effective level. However, they also promote increased heart health and other significant benefits. While you could always get omega-3 fatty acids from vitamin and mineral supplements, they aren’t as effective as eating fish. Species such as mackerel, lake trout, herring, salmon, sardines, and tuna are particularly rich in this fatty acid. Eat them at least two or three times a week to get the dose of fatty acids that you need to support your thyroid health in an effective and efficient way. One of the most surprising thyroid foods, Brazil nuts are very rich in a nutrient known as selenium. Health fans have probably already heard of this item and know about the ways it helps promote thyroid health. However, those who have never heard of it need to get it into their diet as soon as possible. It works as a balancing item for your thyroid. With its help, your thyroid runs smoothly and efficiently. Eating one Brazil nut every day should be enough to help reduce symptoms of poor thyroid operation. Why? One Brazil nut contains an entire daily dose of your selenium. However, eating more of these nuts can help better manage a malfunctioning thyroid and keep it operating at an adequate level. That’s why it’s such a great idea to include these, and other types of tree nuts, in your pantry as healthy snacks. You have probably heard the old joke that “an apple a day keeps the doctor away.” While it may seem silly, this phrase is accurate when it comes to thyroid disease. Fruit is very beneficial to thyroid disease because of its vitamin-rich nature. It also absorbs the kinds of heavy metals in the body that can seriously affect the operation of your thyroid. Apples, in particular, have been found to be among the most healthy foods for your thyroid. Eating at least 3-4 servings of fruit every day is, therefore, a crucial way of keeping your thyroid operating smoothly and efficiently. Try a fruit salad to create one of the easiest and most efficient ways of eating a high-volume of fruit. While it might look mushy and feel weird against your feet while you are swimming, seaweed is actually a useful item for your thyroid health. Why? It has some of the highest concentration of iodine in the world. That is because it soaks in salt water for its whole life. As a result, even a few teaspoons of seaweed every week should be more than enough to boost your metabolism and thyroid health quickly and efficiently. If you can’t quite stomach eating seaweed by itself, try it with fresh sushi rolls. This dietary change will not only help improve your thyroid health but also increase your ability to lose weight. Seaweed has been found to be high in a variety of items that enhance digestion and eliminate the absorption of fat in the body. As a result, fat will pass out of your bowels harmlessly. As far as cooking oils go, coconut oil is one of the healthiest that you can integrate into your diet. It not only includes high levels of antimicrobial and antioxidant items, but it also has large amounts of caprylic acid, lauric acid, and capric acid. All of these items help improve the operation of your metabolism by boosting the health of your thyroid in a natural and safe way. However, coconut oil also helps improve your immunity and stabilize your blood sugar levels. So the next time you need to bake or fry some foods, use coconut oil as your lubricating element. You can also simply eat raw or cooked coconut to receive the same benefit. It won’t be as concentrated, though, so take that into consideration when changing your diet. Foods that are high in fiber help promote stronger digestion, improved heart health, balanced sugar levels, and decreased weight. However, they are also vital for fighting off various forms of thyroid disease. When fiber increases your metabolism, it also boosts the levels of vitamins and nutrients digested in your body. The diverse array of healthy fiber sources should make it pretty easy for you to find a source. If you can’t find one that you like eating, invest in fiber supplements to get your intake to a healthy level quickly and easily. Dairy food for your thyroid is a great idea, if you are not lactose intolerant. It is rich in protein and various other vitamins and minerals that help it activate your thyroid and keep it running at a high level. That said, it is important to also carefully monitor your intake of dairy products to avoid upsetting your stomach or causing other problems that could make the thyroid act up even more. Healthy sources of dairy include cheese, various types of milk, and yogurt. As we will discuss yogurt in more depth below, we won’t dwell on how to integrate it into your diet right now. However, a cup of milk and a sprinkle of cheese on top of various dishes can help your thyroid run more efficiently and effectively increase your metabolism. Protein is an essential item for a healthy thyroid, and eggs are an excellent way of getting a concentrated dose of this nutrient. They are adaptable to a variety of dishes, inexpensive, and easy to prepare. While the debate over their overall health value will likely rage forever, eating at least one egg a daily will improve your thyroid health. What is the best way to prepare eggs for your thyroid? Some will enjoy fried or scrambled eggs. Others will prefer hard boiling them and slicing them onto salads. Whichever way you choose, find one that suits your taste. Few people understand the health benefits offered by regularly eating high levels of bone broth. This broth, created by soaking water in beef and chicken stock, has very high concentrated levels of l-proline and l-glycine. These nutrients have been shown to help repair damage on the inside of the stomach. These repairs are also beneficial for decreasing the severity of various forms of thyroid disease. Even better, bone broth has been shown to improve energy levels, fight fatigue, manage muscle pain, and even boost your immunity. Integrating bone broth into your diet is as simple as eating healthy and meat-rich soups regularly. Cooking one large pot of soup every week and eating at least one bowl a day should be more than enough. While you’re cooking your soup, add other types of thyroid-healthy foods, such as bok choy, to create an incredible soup that no one can resist. We’ve already discussed the ways that wild caught fish and seaweed benefit your thyroid. However, the somewhat controversial oyster is another great way to boost your thyroid health. It has a high level of zinc, a mineral that helps activate the production of thyroid hormone. When this happens, your body will digest food more efficiently. Now, oysters are not to all tastes. In fact, a large number of people will have a hard time enjoying these sometimes slimy creatures. However, if you dose them in iodized salt, you can improve their flavor. Even better, this salt gives you a healthy dose of iodine that will improve the operation of your thyroid. So why not give oysters a try? You might just develop a taste for this healthy food. If you are interested in integrating these foods into your diet, make sure to carefully clean and prepare them before eating. While you can eat them raw and get many great benefits, steaming and boiling increase their taste and make them a little easier to eat. Not everyone will enjoy these foods, but they are an effective way to boost thyroid health. Chicken is an excellent choice for boosting thyroid health because it is rich in healthy and fat-free animal protein. This fact is particularly the case if the chicken is baked, steamed, or prepared using other healthy cooking methods. It is also rich in an item known as tyrosine, a nutrient that fights poor thyroid activity. However, chicken is also rich in vitamin B12, which is an essential nutrient for a healthy digestive system. Eating a single chicken breast every day should be more than enough to provide you with increased thyroid activity. All of these benefits are a significant part of why chicken, and other types of meat, are so essential to proper thyroid operation. One of the best things about chicken is its adaptability to a variety of different cooking techniques and recipes. If you fry it, use coconut oil to increase its thyroid-boosting benefits. Last, but not least, is yogurt. 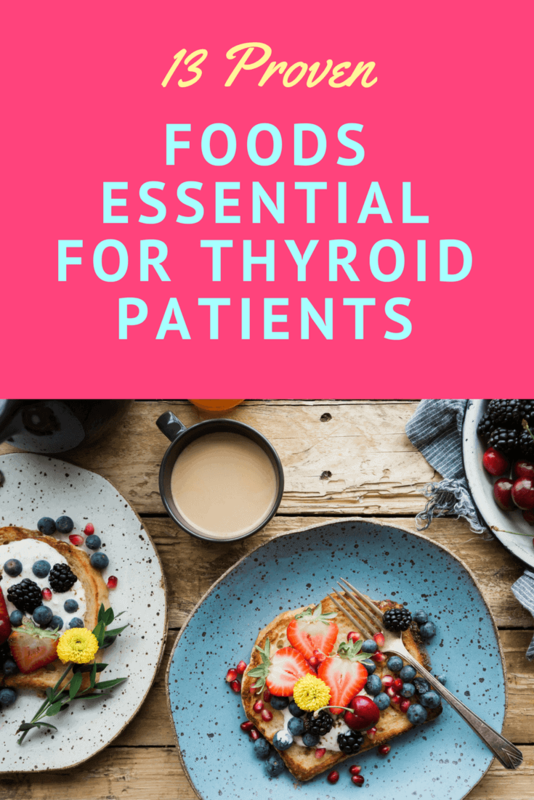 This food is good for your thyroid because it has high levels of vitamin D. This vitamin helps support proper thyroid operation and helps people avoid gaining excessive levels of weight gain. Beyond that, yogurt is also rich in probiotics that promote better digestion. In this way, your thyroid will operate more efficiently. How much yogurt should you eat to maximize its effectiveness? One small container every day should be more than enough. Eating one will help to not only protect your thyroid health but boost your immune system. As a result, you are also less likely to suffer from the kind of inflammation and pain caused by an underactive thyroid. As you can see, many foods are beneficial for your thyroid health. They provide it with the dose of nutrients that it needs to recover from thyroid disease. When adjusting your diet to include these foods, make sure to talk to your doctor first. They can help you find a transition diet that will increase your intake of these foods in a healthy, streamlined, and efficient way. Also, make sure that you choose foods that you enjoy eating to improve the effectiveness of this diet. For example, if you don’t like cruciferous vegetables, don’t integrate them into your diet. There is always another type of food that you could eat to replace it. By focusing on foods you like, you avoid getting sick of your thyroid diet and make it more long-lasting. You also increase your chance of choosing a variety of foods that you enjoy eating that also boost your health in a variety of different ways. Um, cruciferous – aren’t they goiterogens? That was first concern. 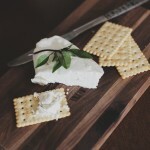 Dairy, with the exception of yogurt, isn’t a very bright idea either—considering most hypo patients are due to inflammatory responses of the gut. This article needed better research before it was sent loose on the public. What documentation shows cruciferous vegetables are safe and good for hypothyroidism? I am desparate and have just removed them all from my diet. I read another study that stated cruciferous are OK to eat as long as they are cooked. Try roasting some broccoli & cauliflower with garlic & parmesean. I use a bit of coconut oil to roast them. It’s delicious.